You won't catch them in Rio, but a few urban athletes are bringing home the gold in these innovative sports. It’s been 108 years since bicycle polo made its one and only appearance as a demonstration sport at the 1908 Summer Olympics in London, England. 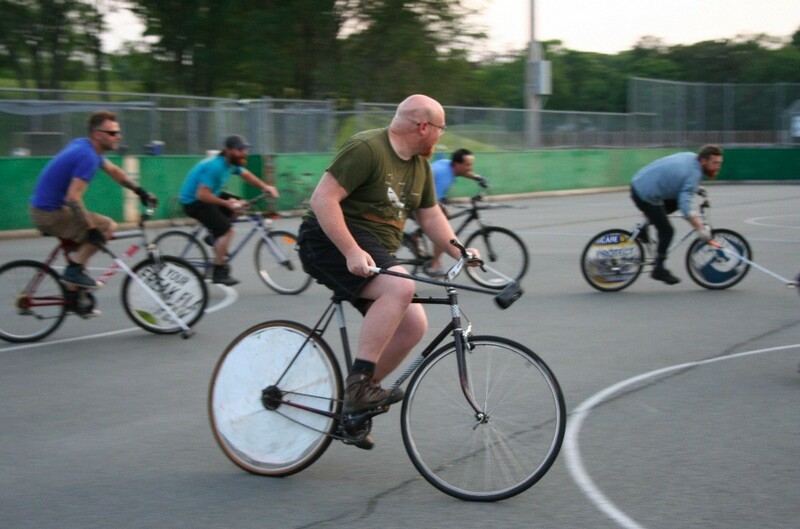 A modern variation of the game, hardcourt bike polo, is played in Halifax every Thursday at 7pm on the outdoor arena behind South Street’s Gorsebrook Junior High School. The object of the game is to put a hockey ball into a hockey net using a custom-made mallet while riding a bicycle. The catch? If your feet touch the ground, you’re not allowed to play until you’ve tapped said mallet against a cymbal located on the sidelines. The mallet is made of PVC pipe attached to a ski pole, and sturdy enough to support body weight since feet aren’t allowed for balance. “The cool thing about bike polo is everyone’s really inclusive. Everyone wants you to have fun,” says Leila Kadivar, who got hooked on the game while living in Ottawa and found the Halifax group on Facebook. The group is self-organized with no designated organizer or coach. Anyone who wants to play just has to show up. “Frolf” was on George Constanza’s summer bucket list, and those looking to play the sport—essentially throwing a flying disc at a target instead of using a golf ball and clubs—can do so at the Hammonds Plains Disc Golf Club (2092 Hammonds Plains Road). The course opened last summer on donated land. It’s designed by Benjamin Smith, president of the Maritime Disc Golf Association. “You’re looking for something that intrigues a player, but isn’t easily mastered. You want the ability to get an ace [hole-in-one], but ability to punish you if you get it wrong,” he says. The frolf scene is boosted by disc-loving ultimate frisbee players in the city. There’s a core group that organizes weekly league nights, but anybody can join in. If you see four people in HRM hitting a palm-sized ball into a small, circular net in the ground, chances are Dan Freeman is involved. 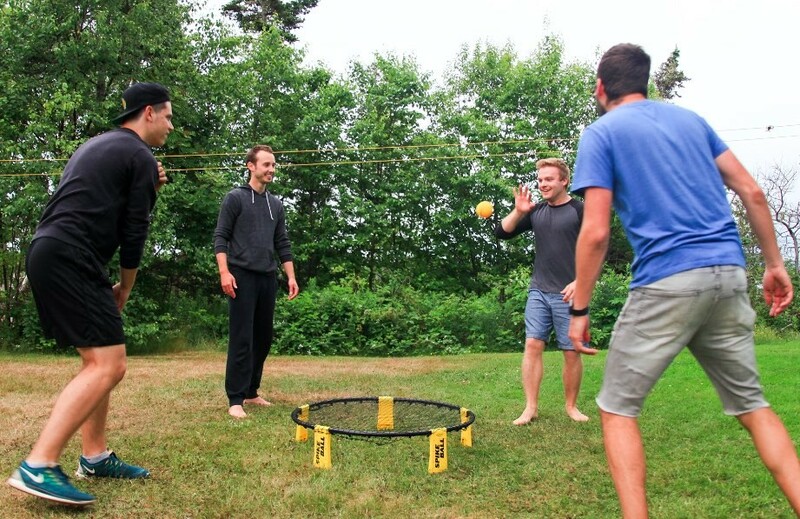 He found out about Spikeball from a friend at the Sasquatch music festival in Washington in 2014. It was love at first sight. “I have to describe this all the time because nobody knows what it is. It’s the game of volleyball, but as opposed to hitting the ball over the net, you’re hitting the ball into a net,” says Freeman. Running into Freeman or ordering the game online are currently the best ways to play in Halifax, as there are no leagues or dedicated groups in the area. It can be played on any surface, although grass or sand is ideal to avoid face-planting into asphalt while attempting an acrobatic dive. Dedicated fixed-gear riders bring the "hipster NASCAR" rolling into town.